Organization Perfect Strive Technologies -SEO, SMM, SEM, SMO, Content Marketing, Blog Content – Telangana, India. Postal Address # 13-6-825/20/1, First Floor, Moghal Nagar, Ring Road, Attapur, Karwan Road, Opp PVNR Expressway Pillar No 102, Hydeabad 500-006, Telangana, India. Perfect Strive Technologies is an IT Consulting and Product Development firm. Our services provide clients with a flexibility to choose from an array of automation and application development solutions and an option to outsource onshore or offshore. Our biggest strength is a well-structured IT community of resources handpicked from the best colleges across India that keeps abreast with the rapid changes in today’s ever evolving technological scenario. With a creative management system, a skilled team, and an inherent agility. To become the most reliable and accountable one-stop shop for all IT needs of any business while staying true to our core values. Through our deep industry knowledge, cross-functional integration, strong analytical skills, and a global perspective, we help to strengthen capabilities of our clients. We aim to help our clients reliably outsource their intermediate IT services as they concentrate on their core competencies. Our Digital marketing activities are SEO (Search Engine Optimization), SMM (Search Media Marketing), SEM (Search Engine Marketing), SMO (Social Media Optimization), Content Marketing, Blog Content, Web Content, Add Campaign Marketing, SEO Content, E-Commerce Marketing, Video Marketing, E-Mail Marketing, Display Marketing and more from any other form of digital marketing or media. Digital Marketing or Advertising is the operation of digital -media-channels that to promote their products and services to customers and businesses, in which internet is mainly use as a core promotional standard. Zed-Axis Technologies Pvt. Ltd – Trusted business intelligence software company – New Delhi, India. 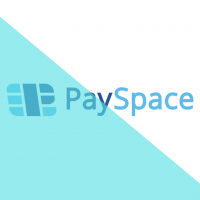 PaySpace – Reliable and secure payment processing solutions for merchants – Riga, Latvia. Auto Stamper App – Timestamp Camera App for Photos 2019 – NJ 07470, US. ShotOn Stamp on Camera: Auto Add Shot On Photos – Surat, India.